Thank you for your interest in Valley Oaks Village. We will contact you shortly. Nestled in the Santa Clarita area, Valley Oaks Village provides independent, mature adults with a beautiful setting for a vibrant new home, community, and lifestyle. Meet new friends, explore nearby attractions, and enjoy diverse activities. 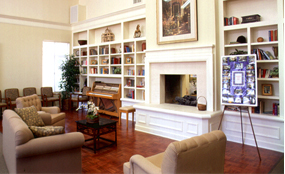 Come and discover your new life at Valley Oaks Village.